2016 continues to troll us with loss after loss (Muhammad Ali, Prince, Ron Glass, democracy, etc. 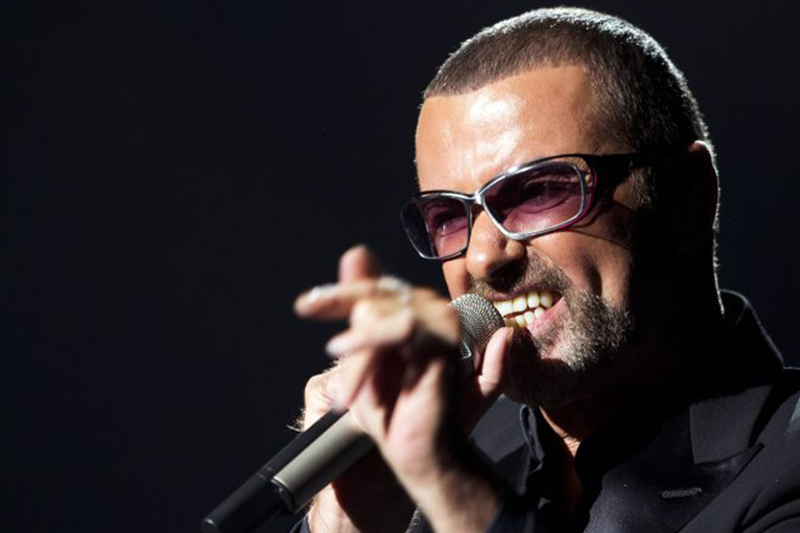 ), the news on Christmas Day that British singer George Michael died peacefully in his home at age 53 was saddening and yet strangely predictable. Michael’s greatest hits in the ’80s and ’90s made him a peer of Prince, Madonna and Michael Jackson, among the most powerful musical voices of a generation. Michael’s journey as a working-class gay white man from London who loved black music and black culture gave him an intersectional legacy that few artists (save Prince) will ever achieve. Here are five ways that he danced in and around the heart of black music for better and, occasionally, for worse. 1. He was one of the first white pop artists to use black women as models in videos. In the 1980s and ’90s, music videos were the dominant music medium, and whom an artist chose to feature in those videos was a powerful economic and political statement. Groups like Duran Duran and singers like Phil Collins and Bryan Adams could change careers with their model choices, and they tended almost exclusively to choose white models for their hit songs. Michael stood out at that time by featuring black women in his videos, even going back to old, forgotten songs like 1982’s “Wham Rap (Do You Enjoy What You Do? ).” Michael didn’t use black women as soulful window dressing or backup dancers but featured them as equal objects of desire and beauty in his music videos. Up-and-coming models like Naomi Campbell, Tyra Banks and even Djimon Hounsou appeared in his “Freedom 90!” and “Too Funky” videos. While this might seem quaint now, those were daring and brave artistic decisions at the time. 2. He beat out Bobby Brown and Michael Jackson at the 1989 American Music Awards. Michael was the king of controversy in the black community after his controversial wins at the 1989 American Music Awards. In the soul/R&B category, he won Favorite Male Artist over Michael Jackson and Bobby Brown. Remember, this was 1989’s “Don’t Be Cruel” Bobby Brown and Michael Jackson, who was still flying high off of “Bad.” Further, Michael’s Faith album, which came close to selling Thriller numbers, beat out All Our Love by Gladys Knight and Make It Last Forever by Keith Sweat for Favorite Soul/R&B Album. While Michael was popular and was played heavily on black and urban radio, the idea of a white man dominating in those categories was giving everyone flashbacks to the cultural thievery of Elvis Presley just a few decades earlier. There is no better indicator of how shocking this was than to look at jazz guitarist George Benson’s facial expression (about the 0:07 mark) when he announces Michael as winner for Favorite Album. This led to the often quoted seminal article “Blue-Eyed Soul: Are Whites Taking Over Rhythm & Blues?” published in the July issue of Ebony magazine that year. To Michael’s credit, he was incredibly gracious in accepting his awards and gave an explicit shout-out to “black radio”—again, a rare mention by a white artist in that era. 3. He was one of the first white “rappers” in music. Michael was trying his hand at rapping long before the Beastie Boys, let alone before Vanilla Ice and Eminem put ideas on wax in the coming decades. There are some similarities between ’80s working-class whites living under then-Prime Minister Margaret Thatcher and the plight of African Americans in the ’80s living under President Ronald Reagan, which makes Michael’s interest in underground rap at the time quite understandable. The song “Wham Rap! (Enjoy What You Do? )” was performed almost entirely by Michael during his early days with the band Wham! In the song he dances through streets talking about how he’s “taking DHSS” (essentially welfare, in English parlance) and doesn’t have a job, but he’s got “street credibility” and he’s freer than those losers working a 9-to-5 job. The lyrics alone make this song indistinguishable from most rap at the time, but coming from Michael’s pretty-boy visage, it’s hard to take it seriously. However, the song indicates that his interest in African-American cultural sounds predated future collaborations with Aretha Franklin. 4. He was the white soul star black folks could agree on. Michael was making soul music that black kids like me (I grew up in the almost exclusively white Midwestern suburbs) in the ’80s and ’90s could actually share with my cousins in inner-city Newark, N.J. In the summer action comedy Keanu, there is a scene that literally could have been lifted from my childhood. Nerdy Tom Dubois-esque Clarence (played by Keegan-Michael Key of Key & Peele) has managed to convince a group of drug dealers that he’s a gangster named Shark Tank (the plot is ridiculous). But when they see he’s got “Freedom! 90” on his iPhone, he’s in a mad scramble to maintain his black card. The whole scene is absurd and hilarious but also the epitome of the role that Michael’s music played for a certain slice of black Gen X. Michael as cultural bridge builder in the black community was captured perfectly in a Slate piece about Keanu earlier this year. You know that Michael had ’80s black street cred when biracial kids in Michigan were listening and “Everything She Wants” was the nonironic background music to a romantic montage on Everybody Hates Chris. 5. Every movie you’ve ever liked sampled him. Perhaps not every movie, but Michael’s biggest hits have aged surprisingly well and across various comedy, action and even documentary platforms. Listen to C&C Music Factory today and you wonder how anybody could listen to that grating nonsense. R. Kelly’s “Bump & Grind” was once considered serious baby-making music; now it’s a punch line. Michael’s music is considered vintage ’80s and, thus, is a legitimate mood setter or a way to reminisce about a more innocent time: the “Wake Me Up Before You Go-Go” scene from Zoolander, “Careless Whisper” from Hot Tub Time Machine or the surprisingly romantic ending in Deadpool. And Michael must have been on commission with the Fox TV show Glee, given how often his music showed up on the show. The IMDb listing of the soundtracks that Michael’s music has appeared in reads like a Steven Spielberg résumé. It just goes on forever. Next to “Christmas in Hollis,” “Last Christmas” by George Michael is a pretty safe bet to be on some relative’s tree-trimming rotation. Elvis never stole anything from anybody. He was a total original and the GREATEST artist who ever drew breath. That is why he is still toping charts worldwide some 40 years after his death.